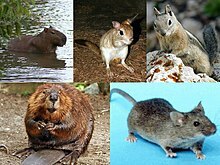 Is "Rodentia" the scientific name of your taxon? If you were editing the page "Animal", you'd need to specify |taxon=Animalia. If you've changed this, press "Preview" to update this message. Click here to enter the taxonomic details for "Rodentia".